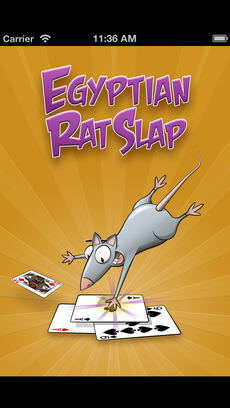 Egyptian Rat Screw is a fast-paced, fun card game that 2 or more players can play. This game is also called Egyptian Ratkiller, Slap, ERS, Egyptian Ratslap, and Egyptian War. Unlike most other card games, Egyptian Rat Screw generally rewards players having the fastest reflexes, good eyes, and great coordination. Though the exact origins of Egyptian Rat Screw are unknown, Beggar-My-Neighbour – a 19th century game in Britain, seems to be its direct ancestor. However, the gameplay of Slapjack is believed to be the inspiration behind this game’s concept of slapping for cards on some specific combinations. 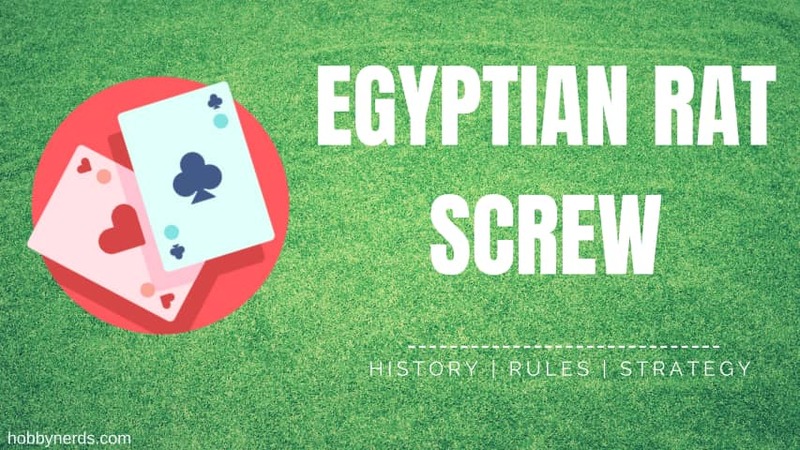 Egyptian Rat Screw is known to have existed during the mid-1970s but it was in the mid-to-late 1990s when it gained tremendous popularity (Source). Hello and welcome to how to play Egyptian rats crew presented by gather together games.com. This video will cover how to play the card game: Egyptian rats, crew, the video will start with the general concepts and gameplay and then get into more of the details for the game. The game can be played with two or more players. Egyptian rats crew is played with a standard, 52-card deck. All the cards are dealt out and some players may have one more card than others. The cards are not looked at and remained facedown in front of each player. The object of the game is to be the player to win all the cards. The player left of the dealer is first to play player 2 flips over his card and places it into the middle play. Moves clockwise with players flipping a card into the middle until a face card or ace, is played once a face card is played into the middle. The next player has to play a face card or ace as well, depending on the face card showing the player will have a different number of chances to play a face card or ace. If an ace is played, the player gets four chances to play face cadres. If a king was played, the player gets three chances. If a queen is played, the player gets two chances and if a jack was played, the player gets one chance to play a face card or an ace player. One has played a king and player. Two gets three chances to play. A face card or an ace player 2 does not play either so player, one wins the middle pile. The pile is added to the bottom of player. One stack, the player that wins, the middle pile starts the new pile player. Two then plays an ace and player. Three has four chances to play a face card or an ace player. Three second play is a queen and now player. Four has two chances to play: a face card or an ace player. Four does not play either and player. Three wins: the middle pile, the middle pile can also be won by slapping it when different card combinations are played. The first combination that can be slapped is when matching cards are played together. Player two matches the six played by player, one the first player to slap. The pile wins the cards in the middle player, one slaps first and moves the middle cards to the bottom of his stack. Another combination that can be slapped is a sandwich when matching cards are played with only one card between them. The pile can be slapped player ones for matches the floor played by player three with only the five in between the player. Four is first to slap the pile and wins it to make the game more complex, more combinations can be added to slap starting with the top bottom. If a card is played that matches the bottom card of the pile, the pile can be slapped. Player 1 plays a 10 that matches the first card played in this pile player. 2 is the first to slap, the pile and wins the card. Another combination is a sequence of four: the sequence can go up or down the ten, nine eight and seven played form a sequence and player one slaps, the pile to win the cards. Another combination is a marriage. If a king and queen are played back-to-back, it can be slapped player. Four plays a queen on top of the king and slaps the pile to win the cards. The marriage still can be slapped if the king is played on top of the Queen before the game begins. Players can agree on additional combinations that can be slapped when a player has all the cards. He wins. The game player one wins this game. If a card is played on top of a combination that could have been slapped, the chance to slap, the pile is missed and play continues. If a player mistakenly slaps the pile, the player must put two cards on the bottom of the middle pile as a penalty. When a player is out of cards, he is not out of the game. He is still able to slap the pile and win cards if a player mistakenly slaps the pile with no cards. He is out of the game that wraps up how to play Egyptian rap screw. As with most games, you will get better with practice. So don’t be discouraged if it takes you a few games to catch up. The player who wins all the cards emerges as the winner in this game. The game begins with all the cards being dealt out. Though all players are dealt an equal number of cards, some may have one more card than others as the extras get distributed as they would in a normal deal. The players can’t look at their cards as they remain face down in front of them. When an ace or a face card is played, the next player has to play an ace or a face card within the allotted chances. If he/she fails, the last player who has played an ace or a face card takes the pile in the middle. The cards are then added to his/her deck’s bottom, face down, and aren’t shuffled. The player who takes the pile is always the one to start the next pile. A player who collects all cards in a deck wins the game. You can get a better idea of how to play this game by taking a look at this Egyptian Rat Screw Tutorial. If the pile is slapped mistakenly, the player doing it must put one or more cards, face up at the bottom of the pile as a penalty. If a card is played on top of a card combination that could have been slapped, the chance of slapping the pile is lost; the play continues as usual. Despite being out of cards, a player isn’t out of the game as he/she can still slap the pile to win cards. If a player incorrectly slaps the pile with no cards, he/she goes out of the game. Memorization may help players to identify slapping possibilities. For example, in a 2-player game where one player rightfully slaps a double, the other player may recognize that later on, the double will crop up as a sandwich, which can then get slapped. A player may even slap wrongly and deliberately to “burn” a card or two leading up to a face card that he/she remembers from earlier on in the game. This becomes particularly useful if the previous player has played a high-value face card (like a jack), where there’s a single chance to play a face card. At times, players may fake a slap on purpose. With this, they can probably persuade another player to slap incorrectly, or get an advantageous position in the deck that they remembered from the game’s preceding pile collections. It’s an interesting variant of the game where a player who doesn’t get a face card has to drink as many chugs as the last card he/she threw down, while the person who threw the face card gets all the cards in the middle. As in the original version, you must end up with all the cards to win this game. If you like solitaire card games, you can use the app to play Egyptian Rat Screw against the computer at various difficulty levels – easy, hard, medium, or custom. Though you can play against one or more friends locally as well, the fun lies in using the app’s Game Center to face off against either random opponents or your friends online in a multiplayer game. Be it tracking your achievement progress via the Game Center, or improving your rank on the leaderboard by winning as many multi-online games as you can, the app lets you do all that and more.